To inquire about this original painting, click here. This young Alaskan Tundra wolf is one of the wolves at The Wolf Mountain Nature Center. 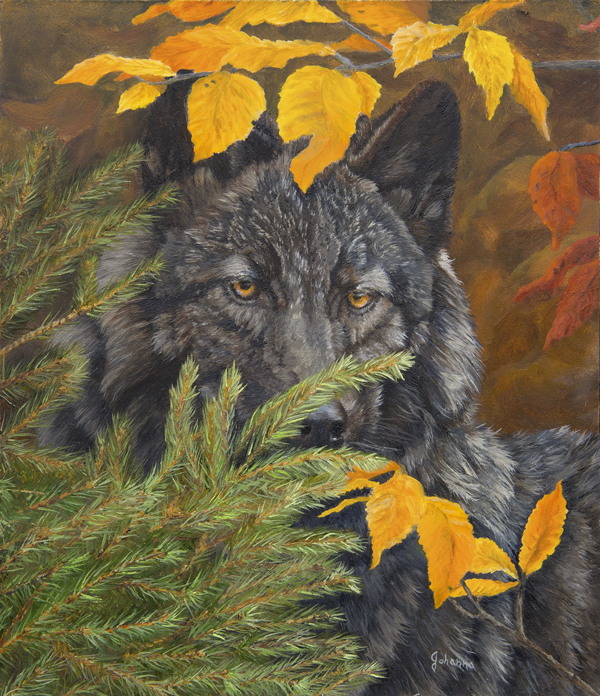 As I approached he was very shy and timid although his intense look was what I loved about him and knew I just had to capture that look in this painting of a young wolf. This is Tamarack born: April 22, 2015. ​For more information, contact me. ﻿All images and content on this website are protected by copyright of the artist.